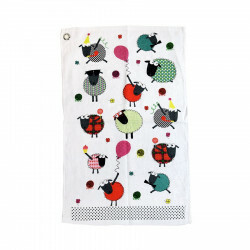 A pretty teabag holder for your tea time! Microwaveable and dishwasher safe. Size: 9,5 x 7 cm. A porcelain mug from the Party Time collection featuring playful designs of Scottish tartan sheep. 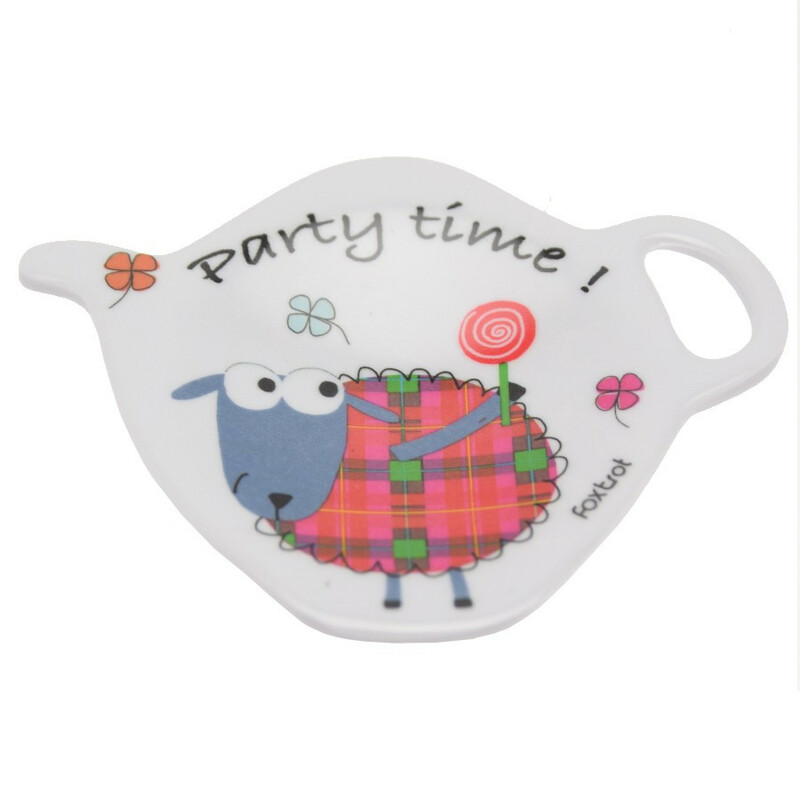 Enjoy your hot drink in this Party Time china mug. Handy and original, it comes with a tea spoon inserted in the handle. Teapot and cover made of porcelain with a metal filter. 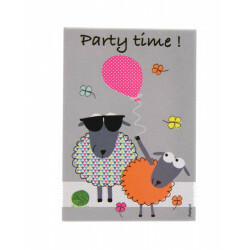 Pin all your thoughts and to-do-lists on any magnetic boards or refrigerator with this Party Time magnet, featuring pretty sheep designs with a ball, a green ball of yarn and flying shamrocks!